HUMANOID CAPSULE 10.25 COTTON CRISP TROUSER. Part of a special collection by Humanoid. 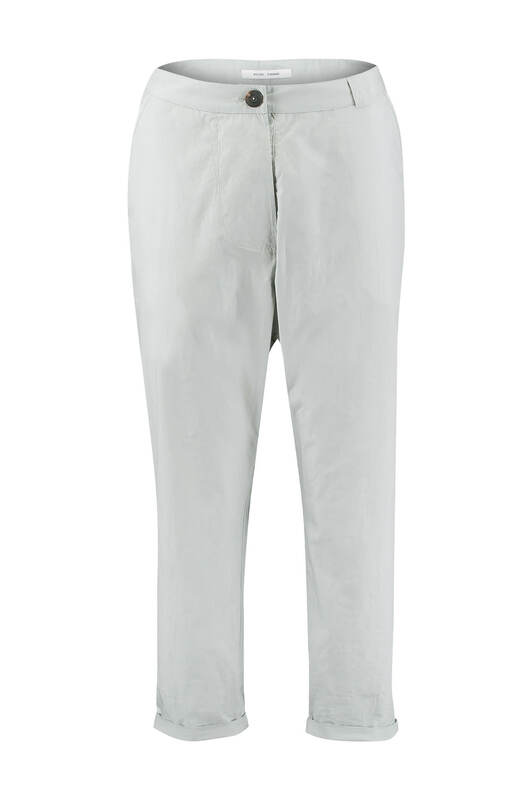 These loose-fit cotton trousers have a button closure, a dropped waist, and tapered legs. The cotton fabric creates an airy look and feel. The trousers have pockets in the side seams and at the back. Model is wearing XS - Slightly over sized in style. The length of the trousers is 93 cm (size s).